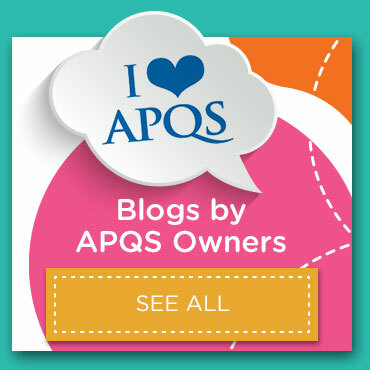 Home » Blog » Education » Quilting the Quilt: Which way doth the wind blow? 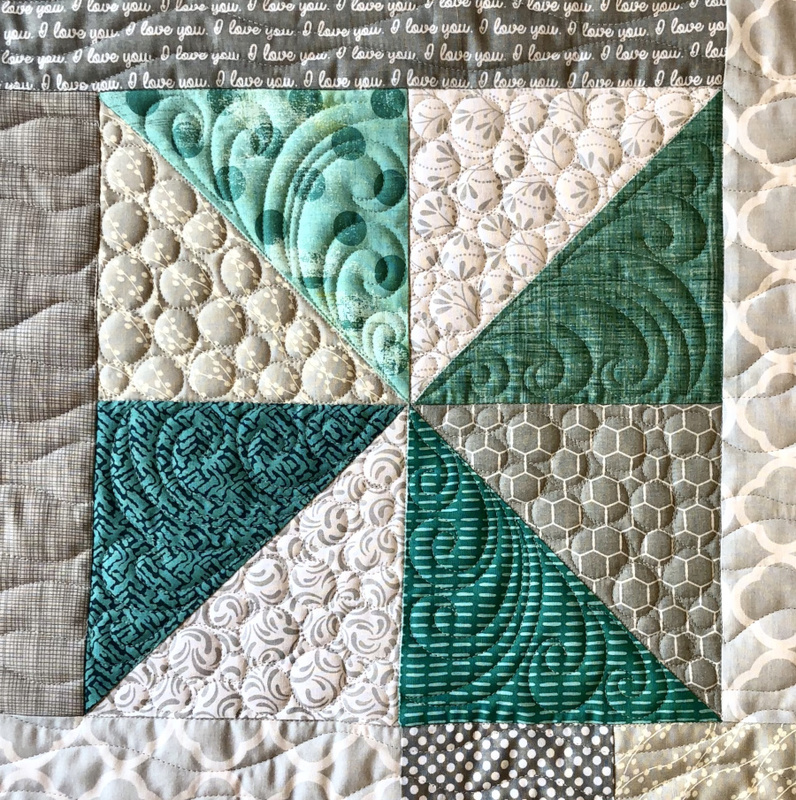 Quilting designs inside the blocks can add to the illusion or they can help calm the winds, depending on their placement. The design in the photos below fit the orange triangle nicely. 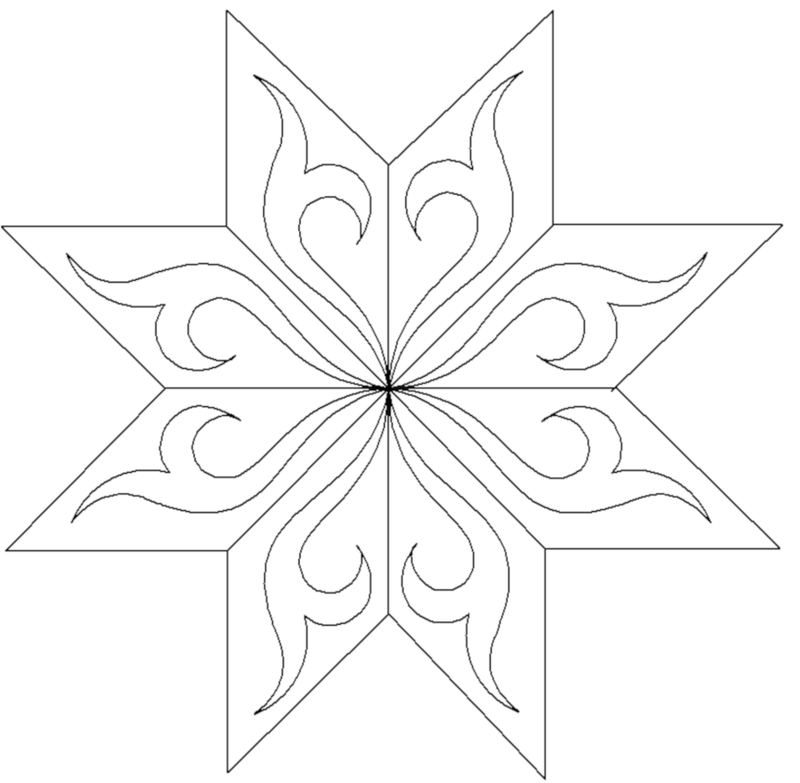 But its symmetrical shape keeps the attention focused on the triangle itself, not necessarily on the pinwheel block as a whole. By contrast, the design in this quilt below is not symmetrical. It leans into the direction the pinwheel already seems to be turning, pulling your eyes along with it. Symmetrical designs tend to capture your attention and keep it focused in a specific spot. These shapes often feel more traditional, but they can also call out piecing mistakes since the eye is looking for uniformity when it sees a symmetrical shape. 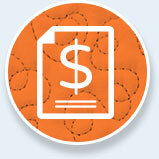 While an individual design can be symmetrical or asymmetrical, you can also place it symmetrically or asymmetrically. 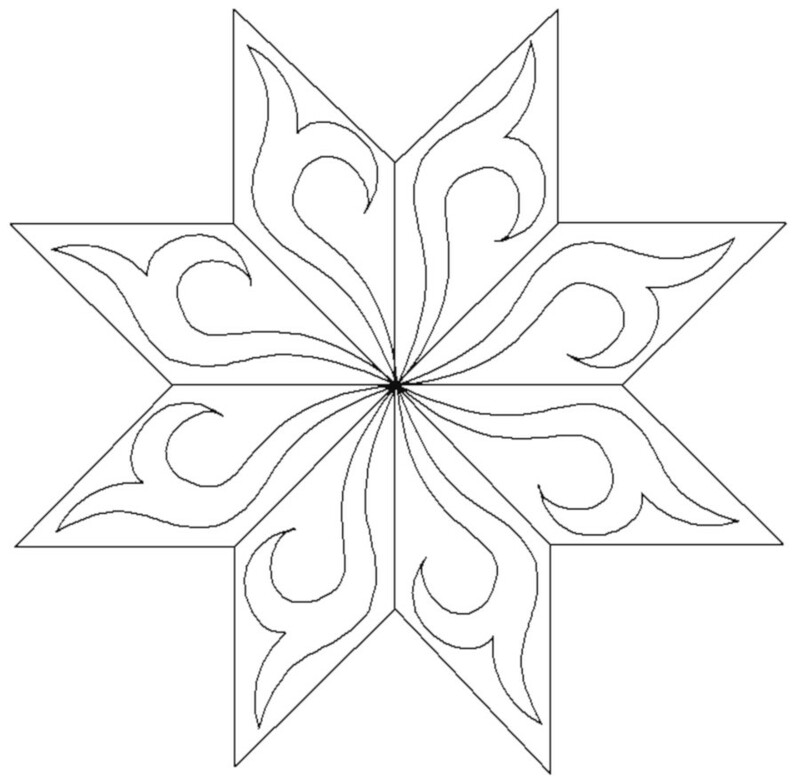 In the diagram below, the 8-point star block itself is symmetrical. 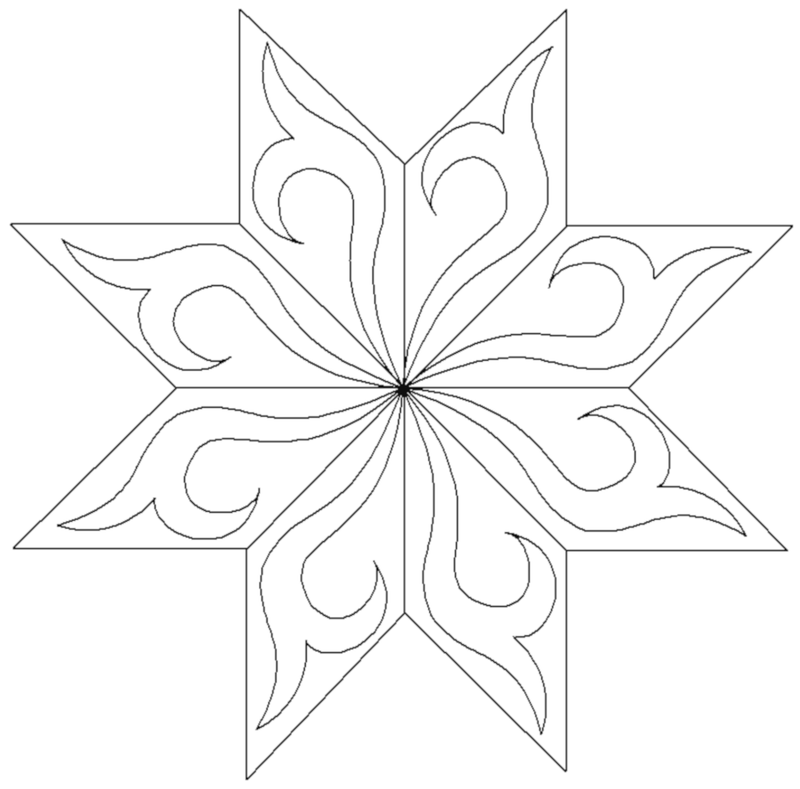 When an asymmetrical quilting design like the hook shape is flipped over on every other diamond, the quilting design also becomes symmetrical. By contrast, asymmetrical designs create a feeling of movement; they draw the eye away from a specific spot. Asymmetrical designs are great camouflage artists, because they trick you into looking someplace else. 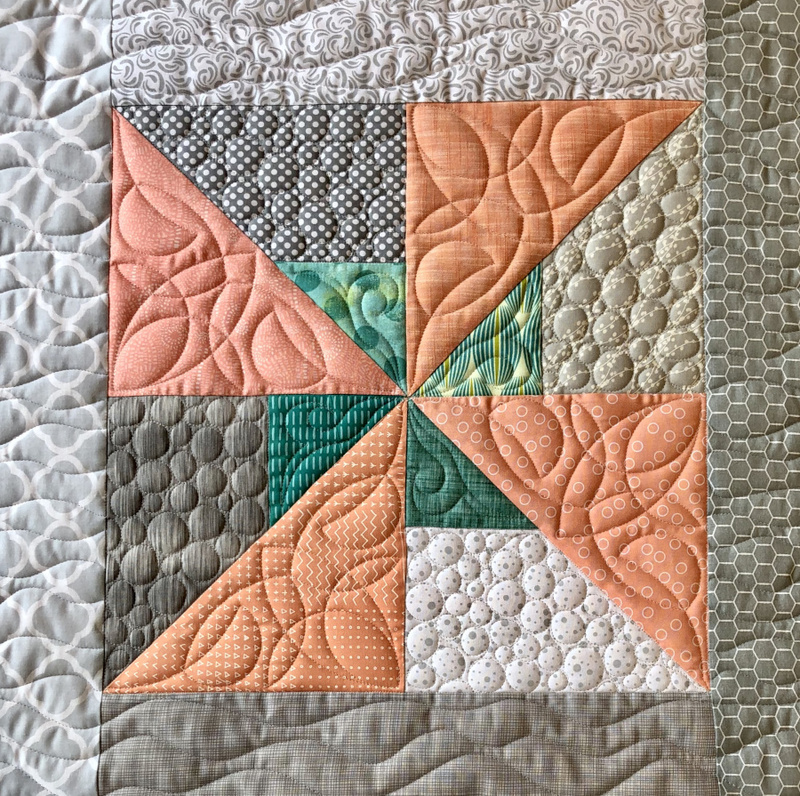 If the piecing isn’t quite as precise as you wanted it to be, then an asymmetrical (or asymmetrically placed) quilting design can help hide it. 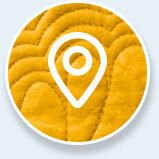 look at the outer tips of the quilting design, it feels like it’s spinning clockwise! And I’d bet that your first glance did not take you to the center of the star! As you can see, in this diagram the star is spinning in the opposite direction. 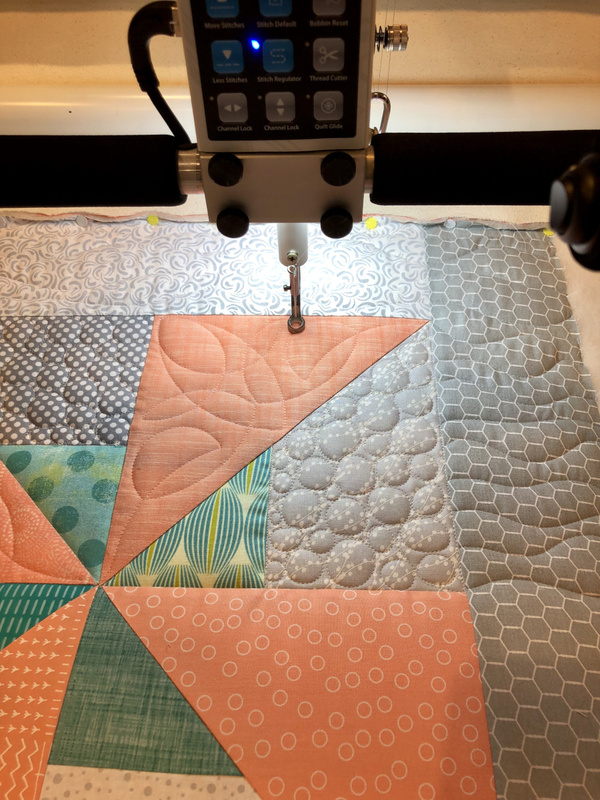 When choosing a quilting design, you’ve got lots of things to think about: do you want the quilting to stand out or blend in? Do you want the thread to show or hide? 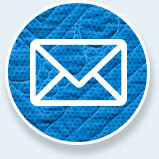 Do you want the quilt lightly quilted or heavily quilted? 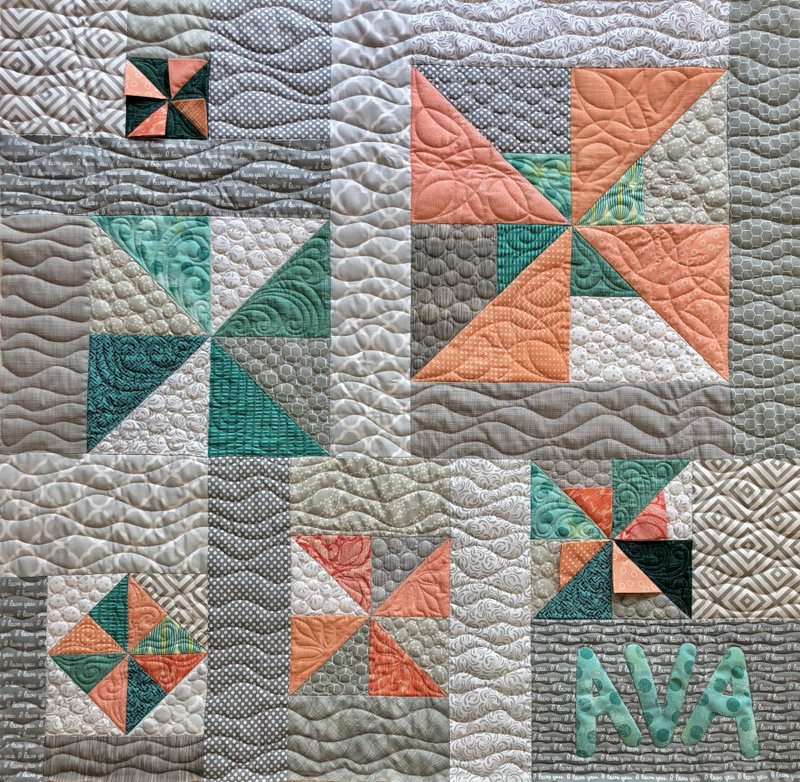 When you ask yourself, “where do I want to focus the attention on my quilt?” experiment with symmetrical and asymmetrical designs as well as design placement. You might be surprised by where your imagination takes you! 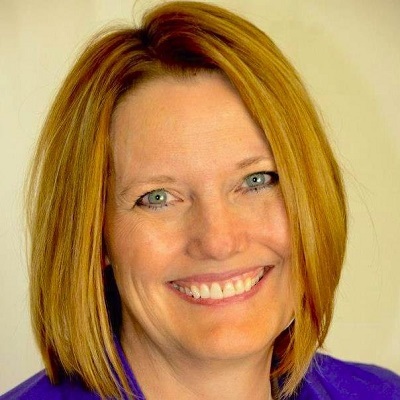 APQS Dealer and Educator Angela Huffman shares an alternative to feathers - the fern twist. The leaf shapes are much more forgiving and easy to master. Is your bobbin collection an unorganized mess? 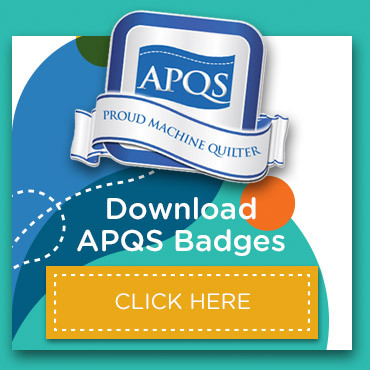 Use these storage ideas from APQS to help keep your quilting area tidy!